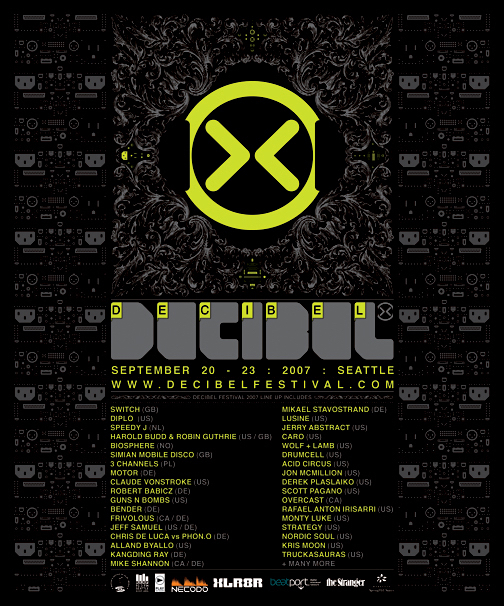 Mokira, Taylor Deupree and Richard Chartier last year Decibel is back with another diverse lineup again in 2007. A/V works by Ryoichi Kurokawa, Steve Roden, Tina Frank, Stephan Mathieu, Frank Bretschneider and many more." ambient showcase, which is co-sponsored by the Seattle International Film Festival.